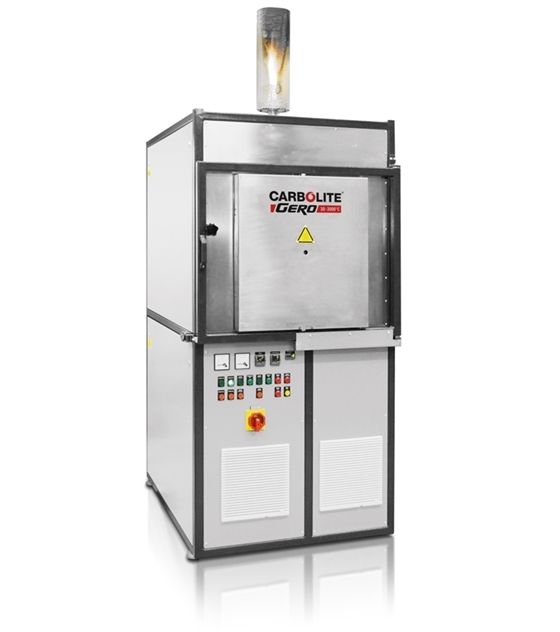 The Carbolite HTF High Temperature Chamber Furnaces havw maximum operating temperatures of 1600 °C, 1700 °C, or 1800 °C. All models are heated by molybdenum disilicide elements. The HTF industrial furnace is available in usable volumes of 64, 128, 165, 250, 332 and 514 litres. Independent over-temperature protection is fitted as standard for unattended operation. Heat treatment is only possible in air. An additional gas supply, with hand valve and rotameter, can be supplied, which results in a slight modification of the atmosphere that will only suppress the Oxygen level as the system is not sealed. 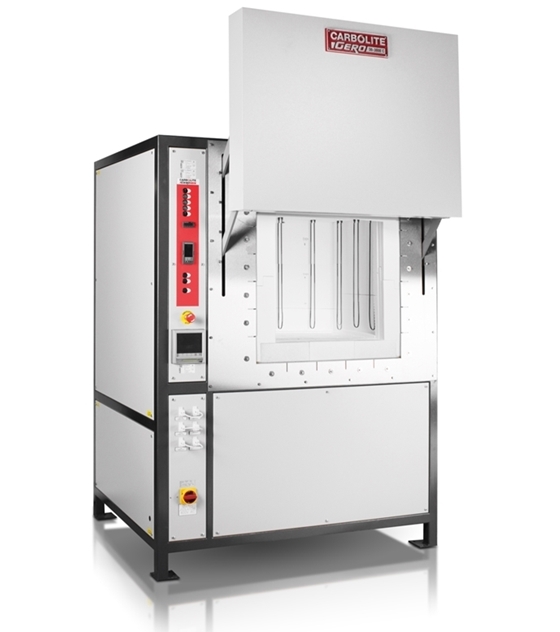 As a result, the HTF is ideal for sintering ceramics and oxide ceramics. If debinding is required before sintering, Carbolite Gero offers a debinding package for the HTF. The debinding package consists of an inlet for preheated air, several gas inlets, and an afterburner. The preheated air is symmetrically purged at several gas inlets into the furnace, which improves temperature uniformity at low temperatures and sample envelopment by the incoming air. All gaseous by-products generated during the debinding process are combusted in an afterburner that is driven by propane gas and compressed air. On completion of debinding, the furnace temperature will increase to begin the sintering process.